In our last blog we discussed the problems with a culture of compliance in the safety world and within an organization. The culture of compliance leads to limiting what’s possible within the organization and to a culture of fear that limits organizational learning, both in terms of quality and quantity. So, how do we build a culture of commitment? How do we get to a culture where people are actively caring for one another? This is obviously an extraordinarily complex question, but, in my experience, three areas in particular stand out in those organizations that have the culture of commitment – they understand what safety is and where it comes from, they avoid the trap of negative reporting, and they actively strive to build a Just Culture. Defining “Safety.” Coincidentally, I’m in the process of hiring new safety professionals for our firm and one of the questions I ask potential candidates is what the definition of “safety” is. You’d be surprised how many safety professionals don’t even think about what the goal of our profession is. The thing is, organizations that have strong cultures of commitment do, at least at some level. They understand that safety is not natural - it is man-made. 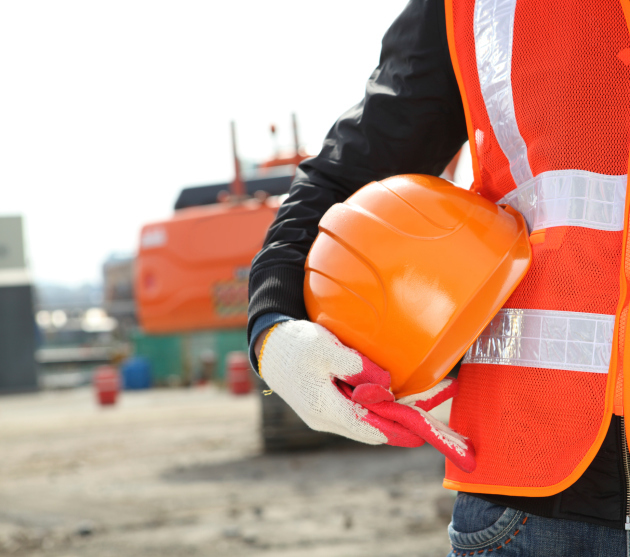 Safety does not exist unless every person within the organization creates it on a daily basis. In this way everyone owns safety within the organization, because everyone has a direct effect on the risks faced by the organization. Each employee is a pivotal piece of the puzzle in creating a safe organization and therefore each employee deserves respect, trust and development. Avoid Negative Reporting Traps. I can’t tell you how many times I hear supervisors and managers tell me that their employees must feel safe at work because the employees know that the manager’s/supervisor’s door is always open when they have concerns. The implication is that if the manager/supervisor doesn’t hear any news then it must be good news. The organizations with a culture of commitment know that this is just not true. There are many reasons why employees would not report safety concerns, and only one of those reasons is because there are no concerns. The fact is that people don’t always feel like it’s their place to report issues, for one reason or another. So using the lack of a report as a report of good news is misleading. A culture of commitment requires supervisors, managers, and everyone in the organization to actively seek out safety issues and concerns. These organizations often employ formal methods to identify issues, such as safety perception surveys, safety town hall meetings, and safety assessments. Many times though informal methods provide the most valuable feedback, through one on one interactions between supervisors and the employees where supervisors actively elicit safety concerns from employees in the way a mentor does to his or her pupil. Building a Just Culture. Finally, to create a culture of commitment the best organizations seek to build a just culture. The words “just” and “justice” often have a bad connotation, because they usually involve blaming the individual. But the organizations that have the most success understand that failures that lead to incidents are not the faults of individuals, but the faults of systems. As Sidney Dekker says – human error is a symptom of trouble deeper in the system. Therefore, true justice involves finding those system faults and fixing them, rather than simply blaming workers. If an employee makes a mistake it could be a symptom of improper training, poor job planning, or even an inadequate hiring and job selection process. In a Just Culture, employees don’t feel that the organization is out to get them and, in fact, that the organization cares for their wellbeing. This caring is contagious and it filters throughout the organization, creating the culture of commitment that is so necessary to building a resilient, safe system.